The School of Politics and International Relations, in collaboration with the U.S Embassy in Islamabad, conducted an interactive discussion on the Role of the Development Sector in Achieving Sustainable Development Goals. The discussion was held at the National Library on Monday 16th May 2016 and was attended by over 100 students from QAU and senior professionals from the development sector in Pakistan. Speakers included Ms Natasha de Marcken who is the director education office of USAID Pakistan and Dr Edward Gonzalez from USAID. 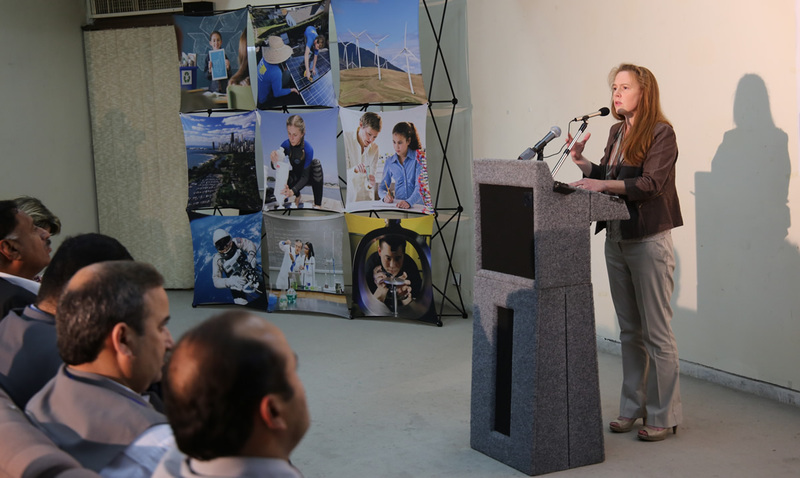 Ms Christina Tomlinson, Counselor for Public Affairs at the US Embassy, opened the session by highlighting the United States’ and Pakistan’s shared commitment to achieving Sustainable Development Goals, as outlined by the United Nations in 2015. 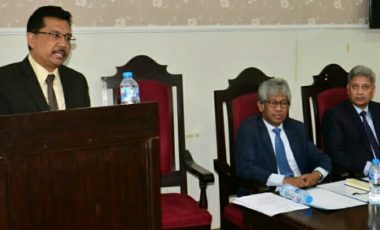 “The United States and Pakistan are partners in the UN Sustainable Development Goals and advancing Pakistan’s development, because we believe in Pakistan’s future, and believe that a prosperous Pakistan is in the interests of the United States, the region, and especially the people of Pakistan,” she said. Dr. Edward Gonzalez, Deputy-Director of USAID’s Office of Stabilization and Governance, gave an overview of development in Pakistan and stressed the need for participation across all sectors of society. “A prosperous Pakistan will be achieved when we are all a part of development efforts. Men, women, youth, and vulnerable populations must be a part of building a secure and flourishing Pakistan,” Dr Gonzalez said. Ms Natasha de Marcken, Director of USAID Pakistan’s Education Office, discussed the importance of education in development. “Education and human capacity are the foundations for each sustainable development goal. It is essential to support early learning and literacy in order to give everyone the opportunity to succeed in school and to meaningfully contribute to their communities,” she said. The discussion was followed by an interactive Q&A session with the under-graduate students of development studies at SPIR, who enriched the discussion by their issue oriented queries about the role USAID is playing in the uplift of Pakistani society on the whole.